With an investment as large as your home, investing in basement waterproofing can save you thousands of dollars in costly repairs and the inevitable loss of personal property. 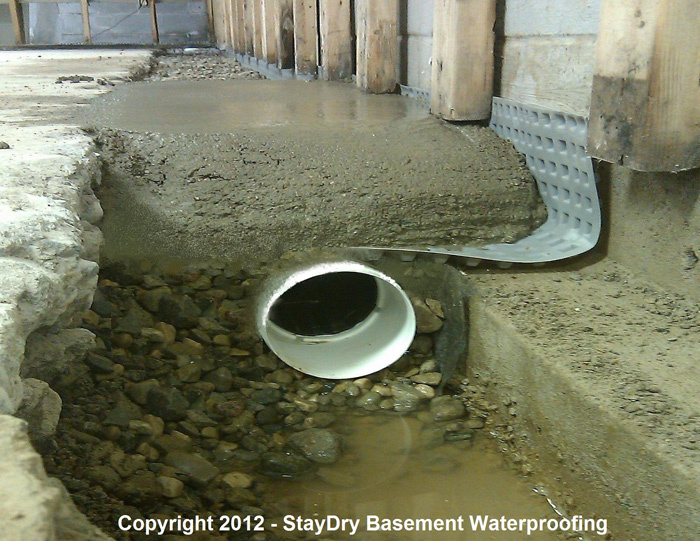 At StayDry of South Haven we understand the importance of a job done right, as the #1 basement waterproofing company in the industry we have thousands of satisfied customers. 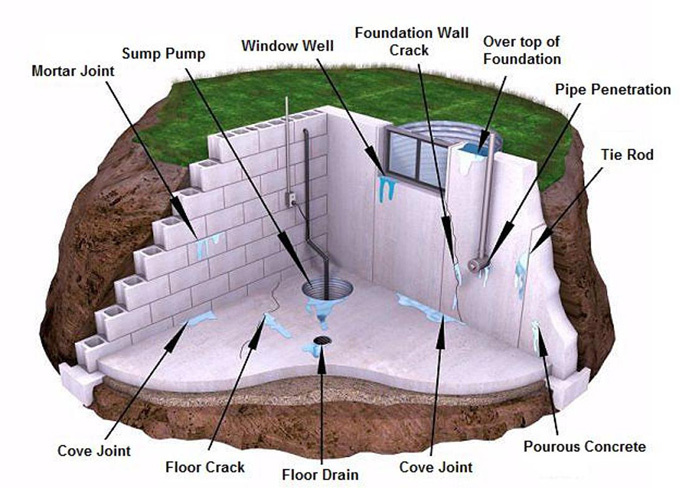 Some of our services include: interior and exterior basement waterproofing, crack injection repair, foundation and crawl space repair, mold control along with many other services. We are so sure you’ll love our work, we offer a 100% fully-transferrable warrantee on almost every service we perform. With a reputation like ours, how can you go wrong? Call our South Haven office at 1-800-STAY-DRY for your obligation free consultation today! Michigan is one of the snowiest states in the nation during the winter months, but even the summers bring a lot of moisture. South Haven, located on the eastern edge of Lake Michigan of the state’s western border, gets hammered more than most cities in the state. With the immense precipitation levels in South Haven, basement flooding and water damage are a real issue. 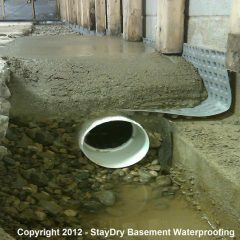 StayDry offers high-quality basement waterproofing solutions for those in the area, however, so your home doesn’t have to be put at risk. As mentioned above, South Haven gets a great deal of precipitation every year. In fact, on average the city gets more than 85 inches of snow in the winter months! Lake Michigan’s proximity to South Haven has a profound effect on the city’s climate. If you live in South Haven and have not had your basement waterproofed, your home is at risk for flooding and water damage. If your home does flood, water damage can harm the structural integrity of the home and can cause your basement to become the perfect breeding ground for mold and mildew. 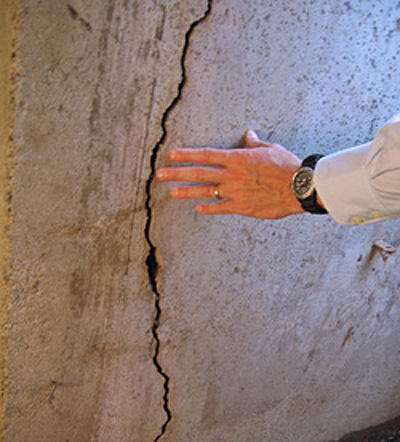 When the structural integrity of your home is compromised, it becomes at risk for further issues and even collapse. Mold growth, on the other hand, can present health effects to everyone living in the home. Then you have the damages to any possessions stored in the basement when the flooding occurred. Clearly, your best bet is to prevent these issues with StayDry’s quality waterproofing services. 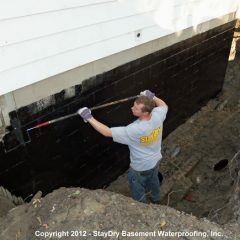 Here at StayDry, we understand how disturbing it can be to have your basement flooded. Not only does water damage pose a threat to your home’s foundation, but it can also destroy priceless possessions. 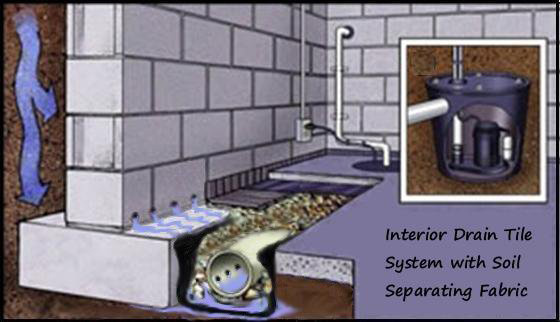 Additionally, we also offer our exterior basement waterproofing system. While this is more invasive and requires exposing the foundation of the home, it is far more effective at preventing water from entering. After rain last week basement floor was wet in two different areas. Foundation wall cracked and leaks. The basement is finished. Need repair. Basement leaking need to check for leaks and get estimate for repair. Those who have lived in the same home for years know about foundation settling. 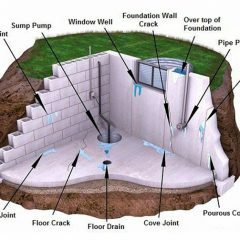 The natural process of your foundation walls settling into the surrounding soil can lead to basement flooding and structural instability. Certain soils react to water in different ways. If your home was built on clay, Michigan’s moisture will probably cause the floors and walls to crack. This cracking is normal, and, if treated properly, won’t lead to long-term damage. However, not calling StayDry basement waterproofing can lead to thousands of dollars in future home repair. Homeowners who want to save money should take the proper precautions instead of waiting for water to damage their home. At StayDry, we care about the safety and comfort of South Haven’s residents. As a family-owned business, home security is our priority. Our industry-leading waterproofing methods will help South Haven residents enjoy Michigan’s beauty without worrying about their homes being flooded. Call a StayDry professional at 800-800-7073 for an obligation-free consultation. We will make sure your home is prepared to brave the summer rain. Rain and groundwater that collects in the soil can leak into your home if it’s not properly redirected. 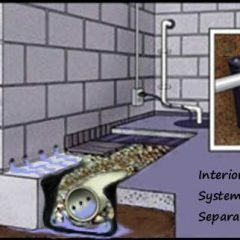 StayDry installs French drains along the outside of your home to channel water into the sump basin. French drains use gravity to move the water downhill away from your home. The soggy water in lawns and soil should be channeled away from your home so it doesn’t lead to basement flooding. A French drain intercepts the water that would otherwise seep through wall cracks and relocates it away from your home. Foundation settling leads to wall cracks. Vertical cracks can be easily filled with high-pressure polyurethane sealant. StayDry sealant is guaranteed to last a lifetime, and it will prevent vertical cracks from expanding. Calling a StayDry agent today for a consultation will help you repair existing leaks and prevent future damage. Although vertical wall cracks are an easy fix, calling a StayDry hero will help resolve the source of the issue. 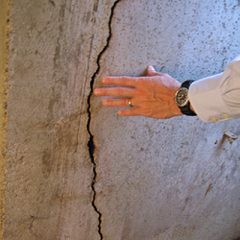 Walls can crack because of shifting soil, faulty drainage, bad plumbing, and many other reasons. Finding the source of the problem will save you money and time in the long run. A French drain redirects water from the home into a sump basin. 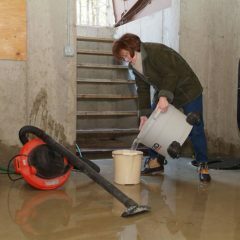 The sump pump empties the basin and prevents overflow and flooding. 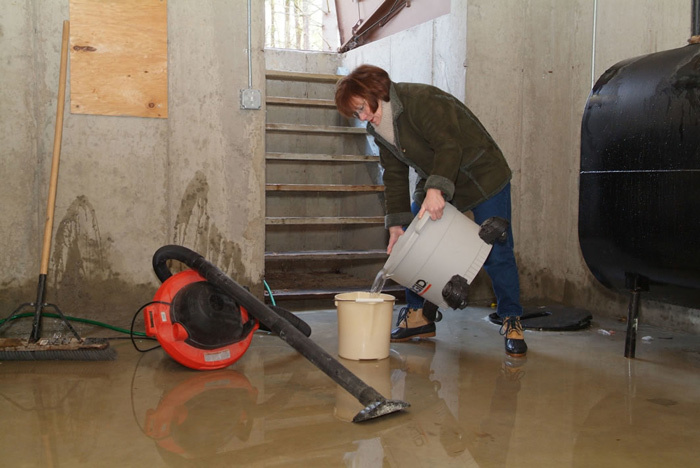 Sump pump failure is a common cause of basement flooding. StayDry’s PumpSpy helps homeowners rest assured that their basement will not flood in the case of a power outage or while they’re away. The PumpSpy comes with extra batteries, float sensors, and a backup pump. Call StayDry today for a free assessment! 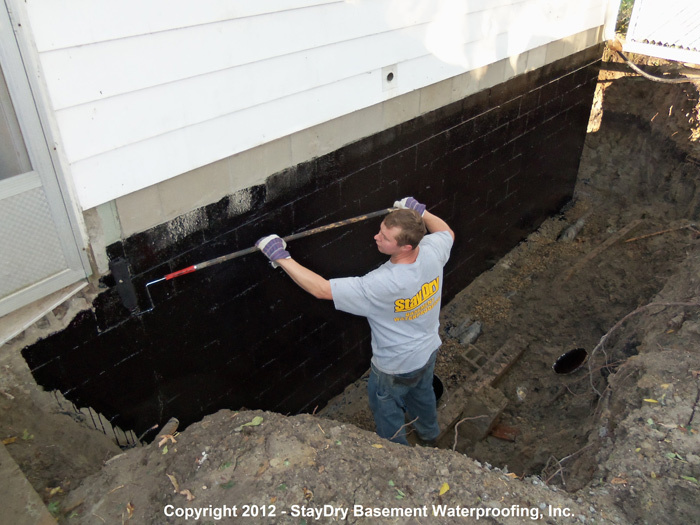 If your South haven home is in need of the basement waterproofing services offered by StayDry, you can contact us here or call us at 800.800.7073 to get your free quote today!